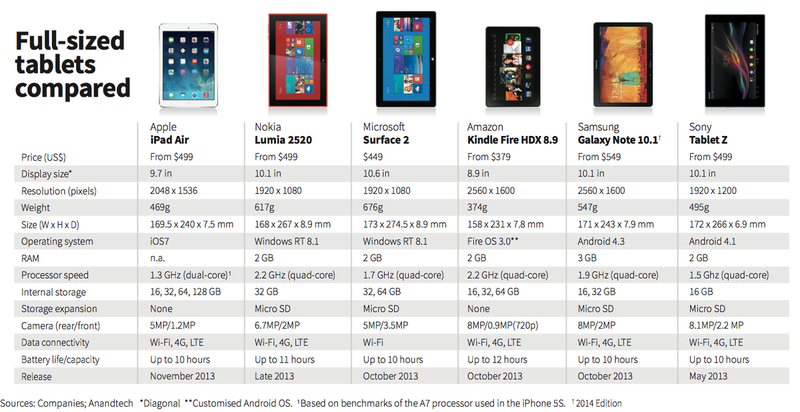 The iPad Air may be a lightweight device physically, but it’s a heavyweight when it comes to performance. 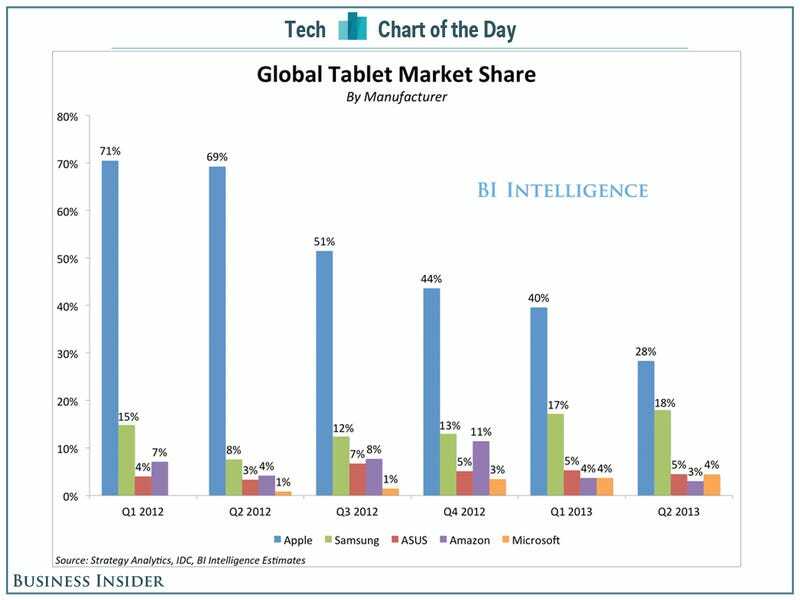 Benchmarks tell only one side of the story, and the one that most users will be more interested in is around how the tablet work under normal, everyday usage conditions. Put simply, Apple’s latest iPad soars. This new iPad Air managed almost exactly the same, 13 hours and 10 minutes. We were able to use this tablet for a very long time off the charger, easily getting through a full day of heavy usage. More-casual users, who use their iPads for idle Web surfing or eBay browsing, will have no problem going for days and days between charges. If you decide you need the bigger screen, you will find a lot of benefit in the iPad Air. In addition to being light and slim, it loads apps and web pages quickly — faster than the old iPad, because Apple tailored software to mesh with the custom A7 processor and vice versa. Aside from a couple animation glitches (freeze frames) related to iOS 7, the Air runs smoothly. Apps load a little quicker than they did before, but again, the areas where you’ll notice the biggest improvement involve more-intense, processor-heavy activities. Games like Infinity Blade III and apps such as Vjay, iMovie and GarageBand don’t skip a beat — or a frame, in some cases. Interestingly enough, we also noticed that the backside doesn’t heat up as much as on previous models, even after we taxed the processor for an extended period of time. In terms of cold, hard numbers, we’ve listed a few benchmark scores in the table below. 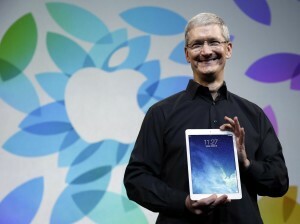 Somehow, Apple was able to put the iPad on such a radical diet without sacrificing any of its features. The battery is smaller, but Apple says it still gets least ten hours on a charge. The screen is still incredibly sharp—264 tiny pixels per inch. The back is still made of classy-looking aluminum (silver on the white iPad, metallic gray on the black one), not plastic like most rival tablets. L’entusiamo c’è, quindi. Dal punto di vista tecnico il prodotto sembra essere di una qualità finalmente nettamente superiore alla sua versione precedente. Ma perchè l’iPad scenderà di prezzo mentre l’iPhone si colloca ancora in una fascia molto alta ? Nel mercato dei tablet Apple sta crollando, ecco perchè da Cupertino con questa mossa si sono voluti giocare il tutto per tutto. Vedremo nei prossimi mesi se questo sarà bastato.